Imagining White Burgundy as Major League Baseball, each appellation a competing team, and the winemakers cast as starting pitchers, Meursault would doubtless boast the deepest starting rotation. One needs only to reflect that this appellation includes such outstanding talent as the widely-celebrated Dominique Lafon, the supremely-gifted Jean-Marc Roulot, and the eagerly-pursued Jean-François Coche. Not to mention superstars Pierre Morey, François Mikulski and Alix de Montille. Although the Javillier family has resided in Meursault for centuries, they did not make wine until Patrick’s father, Raymond, came back from World War II in 1945. By the time that Patrick took the pipette from his father in 1974, Domaine Javillier comprised a mere 3 hectares, including 2 hecatres of village level Meursault and one of Aligoté. Currently, Domaine Patrick Javillier consists of 9.5 hectares in the Côte de Beaune, principally in Meursault but also in Savigny-lès Beaune, with additional small plots in Pernand-Vergelesses, Aloxe-Corton and Puligny-Montrachet.The heart of Domaine Javillier lies in Meursault where the Domaine has holdings in six different villages-level climats. The Domaine’s largest such holding is a 1.5-hectare plot in Les Tillets ,a 12-hectare climat situated uphill and southwest of the village of Meursault toward Puligny-Montrachet. Lying at an elevation averaging 350 meters and enjoying a southeast exposition,with a limestone-based soil, the vineyard manifests a stylistic similarity to the elegantly racy wines of Puligny. Javillier’s oldest vines in Les Tillets were planted in 1937, and the youngest ones in 1977. The Domaine also holds a 1-hectare parcel of Clos du Cromin, another village-level climat in Meursault that is part of 9.27-hectare Le Cromin that lies in the clay-rich Volnay side of Meursault, adjacent to the Volnay-producing Les Plures. Intriguingly, Javiller’s most compelling Meursaults are actually each blends of different climats. Contrary to the prevailing orthodoxy in Burgundy, which insists that single vineyard wines are de rigeur, Javillier is a highly articulate proponent of the philosophy that the whole can exceed the sum of its parts. He vinifies each parcel separately and then carefully evaluates and adjusts the elevage of the individual cask before assembling the final cuvées. Each constituent cask is scrupulously selected for its own characteristics and for its capacity to contribute to the blend. Javillier coaxes complexity into his wines using a combination of batonnage and extended lees contact. Javillier’s Cuvée Les Clousots is a blend derived from .36-hectare of parcel of Les Clous Dessus and a .23-hectare parcel of Les Crotots. Les Clous Dessus is an east-facing 9.76-hectare climat of Meursault situated at the top of the hill, just to the north of Les Tillets on an east facing slope Javiller’s plot of Les Clous Dessus was planted in 1957 and enjoys deep (1meter) clay-limestone soil over a limestone base. Les Crotots is 4.61 hectare climat of Meursault situated midslope, south of the village, just downhill and to the east of Premier Cru Les Poruzots. Javillier’s parcel of Les Crotots was planted in 1975 on clay-limestone soil with an eastern exposition. Javiller’s Cuvée Tête de Murger is a rich and complex Meursault blend derived from .62 hectares of vines planted in 1979, partially from Les Casses-Têtes, and partially from Au Murger de Monthelie. The 4.64-hectare Les Casses-Têtes is classic Meusault terroir, east-facing and with very thin soil. The vineyard lies mid-slope in the center of the appellation, just downslope to the east of Les Clous Dessous. The 6.94-hectare climat Au Murger de Monthelie is situated in the northwestern corner of Meursault, toward Volnay, along the border with Monthelie. The climat faces west on a deep (80cm) clay rich soil over a base of volcanic rock. Javillier believes that Les Casses-Têtes contributes minerality and tension on the attack while the Au Murger de Monthelie provides balance, length and opulence on the palate. 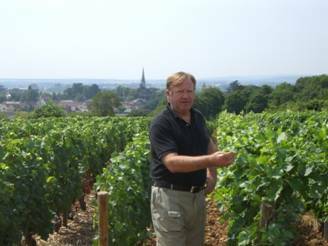 Patrick Javillier is particularly renowned for producing what several critics contend is the most remarkable and compelling example of Corton-Charlemagne, surpassing that of even the better known and much larger Bonneau du Martray. Javillier’s tiny .17-hectare south-facing parcel is located in the Grand Cru lieu-dit Les Pougets. Javillier’s vines were planted in 1984. Perhaps Javillier’s most emblematic wine is his Cuvée des Forgets, which is technically a modestly-classified Bougogne blanc but seems for all intents and purposes (save price!) a full bodied Meursault. Cuvée des Forgets derives from 2.25 hectares of vines within the lieux-dits of Les Herbeux, situated the the northernmost section of Meursault, and Les Vaux, which is located just across the border in Volnay (but nonetheless entitled to the Meursault appellation). The vineyards were planted in the early 1970s and the soils are alluvial limestone over silt. A similarly celebrated wine is Javillier’s Cuvée Oligocene, which derives from the Meursault climat Les Pellans, which is located in the southernmost section of Meursault adjacent to Puligny-Montrachet. The vineyard lies just south of Meursault Premier Cru Les Charmes-Dessous, but curiously only one-half (6.84 hectares) of the vineyard was legally classified as Meursault after the Great War, despite the fact that the entire vineyard enjoys the same geology, altitude and exposition. Javillier’s .75 hectare parcel of Les Pellans, planted in 1977, is infortuitously situated in the section robbed of its birthright in the original classification. While this obliges Domaine Javillier to label Cuvée Oligocene as Bourgogne Blanc instead of Meursault, the flip-side is that Allen Meadows perennially describes the Cuvée as “genuinely brilliant” and as a “best buy”. Significantly, Patrick Javillier accords the same care and treatment to his Bourgognes Blancs as he does to his Meursault. That is, he vinifies his Cuvée des Forgets and Cuvée Oligocene and then ages them on lees just as he does his prized Meursault. Domaine Javillier also produces a very small quantity of Puligny-Montrachet from an .18-hectare parcel of a village-level climat Les Levrons (6.56 hectares), which is located just downhill to the east of Puligny-Montrachet Premier Cru Les Referts. In addition, Javillier makes a miniscule amount of Meursault Premier Cru, Les Charmes, from a tiny plot of .06 hectars Finally, Javillier produces excellent wines from 2 village-level lieux-dits in Savigny-lès-Beaune, a .54 hectare parcel of Les Grands Liards, and a .7 hectare parcel of Les Montchevenoy. Javillier picks each climat of Chardonnay separately, carefully sorts through the fruit and then presses each separately in Vaslin open tank presses (as opposed to closed tank pneumatic presses that are more common today). . As Remington Norman observes, this eccentric system results in more oxidative winemaking since not only is the tank more open to the atmosphere than with a pneumatic bladder press, but also the must is more fully exposed to oxygen as it runs along the length of the press. Javillier is willing to sacrifice some of the primary fruit aromas in exchange for the more rapid development of secondary and tertiary aromas in bottle. It may also be that this process helps guard against the premature oxidation that seems to afflict may winemakers who use more anaerobic presses. Javillier’s wines, for whatever reason, do not exhibit the premature oxidation that curses too many contemporary white Burgundies. After a 24-hour débourbage (“settling”), the must is racked into barrels (25% new oak) where the wines undergo alcoholic and malolactic fermention, and age on their lees for 11-12 months. 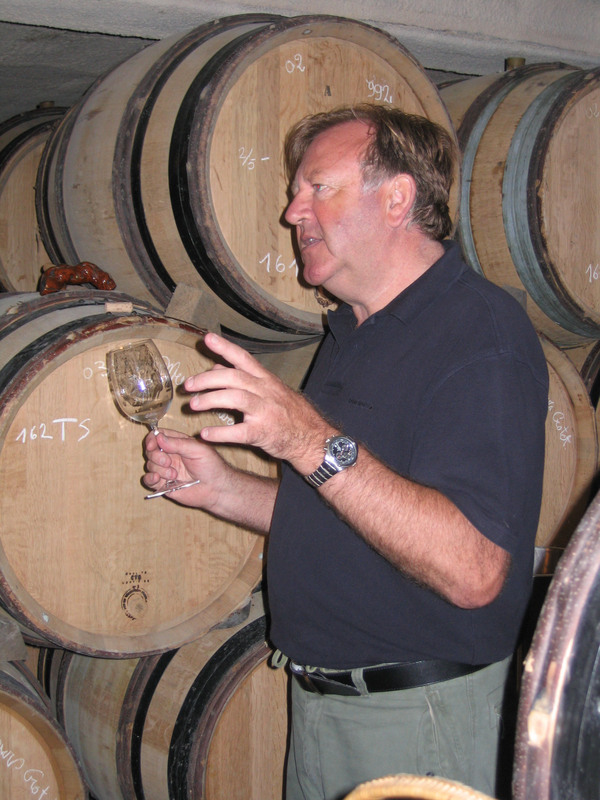 Unlike many of today’s best winemakers, Patrick is a proponent of batonnage (“stirring the lees”), which he believes enriches the wine and adds complexity. On the other hand, batonnage is presumably be oxidative for two reasons. First, merely removing the bung allows air (and thus oxygen) to enter the barrel and fill up any empty space caused by evaporation. Secondly, the actual stirring physically stimulates the release of free SO₂ and CO₂ , which gasses, trapped in solution in the wine, are believed to retard oxidation. The white wines rest in the barriques until just before they are needed for the subsequent vintage (usually 11-12 months) at which time each cask is evaluated. Javillier then makes selections based on the characteristics of each cask and assembles his cuvées and decants them into cement vats where they rest for an additional 3-5 months. Javillier believes that the porosity of the cement allows a gentle exchange of air through the walls of the vat, thereby enriching the wines. Again, Javillier is rejecting the prevailing preference for stainless in favor of a the presumably more oxidative cement. Following light fining and (if necessary) filtration, the wines are bottled 14-18 months after harvest. Thus, Javillier’s open tank pressing, his batonnage, and the final élevage in cement run counter to prevailing practices in Burgundy which tend to reject practices thought to be oxidative. Nevertheless, either because of or inspite of these disfavored practices, it remains noteworthy that Javillier wines have been entirely free of premature oxidation. 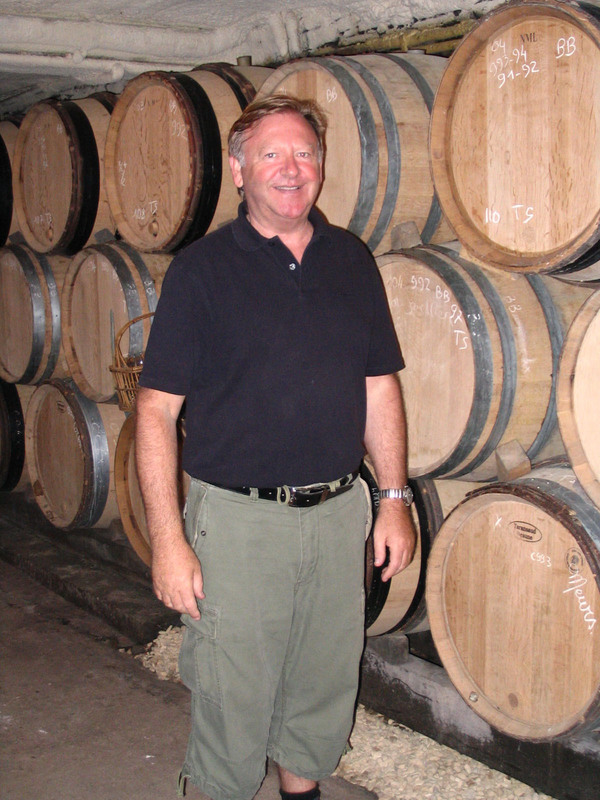 Although best known for his white wines, Patrick Javillier also makes superb Pinot Noir, most characteristically a Premier Cru Savigny-lès-Beaune, Les Sepentières. Javillier’s parcel is comprised of .71 hectares of vines planted in 1979 with full south exposure. The soil is limestone-based and very stony. The reds are 100% de-stemmed and then cold macerated for 5 or 6 days. 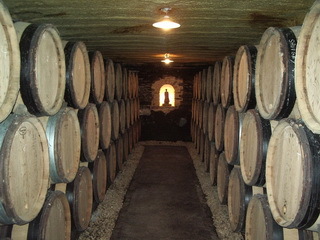 They are vinified in oak barrels, of which 50% are new, and then aged for 11-15 months. The press wine is separated, vinified and aged separately, and added to the final blend if appropriate to the vintage. The reds are neither fined not filtered before bottling. Increasingly, Patrick’s daughter Marion is assisting in the winemaking of the reds. Volnay, Santenots-du-Milieu is a 22.36-hectare Premier Cru climat situated within the appellation Santenots. Santenots is physically located within the commune of Meursault (although adjacent to Volnay), but is by law entitled to use the appellation Volnay, Santenots. Thus, although the vineyards are actually in Meursault, the wines are entitled to be called Volnay. The reason for this apparent anomaly is that the red clay soil in Santenots has long been viewed as better suited for Pinot Noir than Chardonnay, and the appellation Volnay is much better known for red Burgundy than is Meursault. The best section of Santenots is Santenots-du-Milieu, having been classified by Dr. Lavalle as tête de cuvée. At an elevation of 240-280 meters, Santenots-du-Milieu faces southeast on soil shallow, red, heavy clay soil, above a subsoil of Bathonian limestone. The wines are deep in colour, rich and sturdy, with deep tannins , and, if somewhat lacking in the elegance of characteristic of the best Volnay, is lush and supple. Excellent examples of Santenots-du-Milieu are made by Domaine Mikulski and Domaine des Comtes Lafon. In fact, the parcels of these two winemakers formed a single vineyard in the first part of the twentieth century until it was split and sold off to the grandfathers of Franςois Mikulski and Dominique Lafon. Meursault, Les Genevrières is a 16.48 hectare Premier Cru climat in Meursault. The vineyard is itself comprised of four contiguous sub-climats and lies in the southern section of the commune of Meursault, just north of Les Charmes. The vineyard faces east from an altitude varying between 240 and 280 meters, and enjoys a soil with a higher proportion of clay than most other limestone-based Premiers Crus in Meursault. The name Genevrières derives from the supposed presence there, generations ago, of juniper bushes. (Tasters who claim to detect the faint tang of juniper berries in Genevrières should seek professional counseling.) By reputation, the Genevrières climat is considered qualitatively second only to Perrières, although many thoughtful gourmands, as well as several notable winemakers, Dominique Lafon and François Mikulski included, express a culinary preference for Les Genevrières. Without doubt, Les Genevrières is paradigmatically Meursault: lime blossom, honey and hazelnut. The wines are noticeably less steely than Les Perrières, but more exotically spiced, rounder and with greater finesse. Among the most exemplary parcels of Les Genevrières are the two parcels (planted in 1948 and 1993) of Domaine Franςois Mikulski, aggregating .5 hectares and situated in Genevrières-Dessus; and the two parcels belonging to Domaine des Comtes Lafon, totaling .55 hectares. The Lafon parcels are similarly located in Genevrières-Dessus, almost adjacent to Les Perrieres, and face east from slopes with a 15% gradient. The older and larger Lafon parcel was planted in 1946 and is about .37 ha; the younger parcel, at around .18 ha, was planted in 1993. Meursault, Les Perriéres is a 13.71 hectare Premier Cru vineyard in Meursault, comprised of four climats, which is commonly believed to produce the most outstanding wine of Meursault’s Premiers Crus. In fact, two of the climats, Les Perrières-Dessous and Clos-des-Perrières are often touted for promotion to Grand Cru status. Les Perrières lies near the southwestern corner of the commune of Meursault, just down slope from Blagny, and abuts Puligny-Montrachet on the south. The soils are thin and stony and are sometimes said to share more in common with Puligny than Meursault. The vineyard takes its name from a word meaning quarry, but only figuratively: the vineyard contains an abundance of limestone outcroppings and scree, but stone was never actually quarried there. The wines from Les Perrières are quite powerful with an exuberant minerality and steeliness. Among the finest in parcels in Les Perrières are those belonging to the Domaine des Comtes Lafon. Lafon owns two parcels in Les Perrières, both in Les Perrières-Dessous, one of about .67 hectares planted in 1955 and the other of almost .10 hectares planted in 1983. The Lafon vines are planted on a very steep slopes (10%-16%) and face east/southeast. The underlying soil is limestone and white marl over limestone schiste. Meursault is a wine appellation that includes some of the finest white French Burgundy. Wine so labeled must come from vines planted in the commune of Meursault situated in the Côte de Beaune region of the Côte d’Or department of Burgundy in eastern France. 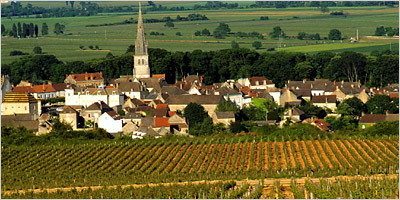 The commune of Meursault, which extends south from Volnay, and immediately north of Puligny-Montrachet, is the largest white wine producing area of the Côte-de- Beaune. To the northwest and north-northwest of Meursault are found Auxey-Duresses and Monthélie; toward the northeast is Volnay. Meursault is the social and financial center of that portion of the Côte-de- Beaune referred to as the “Côte des Blancs” on account of the preeminent quality and reputation of its white wines. Meursault, Chassagne and Puligny comprise this part of the Côte-de-Beaune that is almost universally acknowledged as producing the finest Chardonnay-based wines in the world. The suggestion, not infrequently made, that the name Meursault derives from the Latin for “mouse jump” (muris saltus) is risible at best, most likely the idle conjecture or schoolboy humor of a bored Latin student from a rival village. Though etymological conjectures are always problematic, Meursault far likelier derives from the Celtic mare + saulis, or swamp willow (modern Fr. saule de marais). The lower part of the village is quite flat although today, fortunately, is quite dry. The vineyards of Meursault occupy 436.82 hectares, of which 304.94 produce village-level Meursault. Many of these village-level wines boast well-known lieux-dits, and produce wines that rival many premiers crus. Best known perhaps are Lafon’s Clos de la Barre and Desirée, but other worthies include Les Tessons, Les Narvaux, Les Casse-Têtes and Les Clous. While there is no grand cru, there are 131.88 hectares of Premier Cru Meursault divided among different climats, the best known of which are Les Perrières (13.72 hectares ), Les Genevrières (16.48 hectares ), Les Charmes (31.12 hectares ), Les Poruzots (11.43 hectares ) and Les Gouttes d’Or (5.33 hectares ). The commune of Meursault is roughly fish-shaped, with the head pointing northeast toward Volnay and the tail abutting Puligny-Montrachet. The town of Meursault bifurcates the fish just behind the head. The “fishhead” section, northeast of the village, is geologically and viticulturally a continuation of Volnay and Monthelie. The soil is comprised of a mixture of clay, pebbles and iron-rich scree over a base of Bathonian limestone. Most of the best wine produced from this sector is red. Since Meursault has long been renowned for its white wines, and since neighboring Volnay once produced the most sought-after of reds, the vignerons of the fishhead sector won the right to sell their red wine as Volnay even though their vines are situate in Meursault. The best known vineyard here is Santenots. South of the village the geology changes markedly. Here the vineyards are spread out over gentle slopes whose easterly exposure, along with an abundance of Bathonian and Callovian limestone and white marl create an ideal environment for Chardonnay. Up slope toward Auxey-Duresses, the soil becomes increasingly thin, covered with scree and underlain with friable schiste. The finest terroirs in this sector, and the location of the Premiers Crus, are found in a band running parallel to the RN 74, in the middle third of the “fish”, extending from the tail to approximately the center. "I would not wish my Creator to see me grimace at the moment of Communion." Simultaneously opulent, subtle and delicate, Meursault matures slowly over a long period of time. 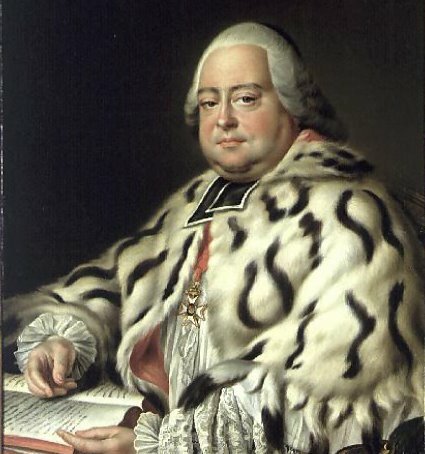 Cardinal de Bernis, Louis XIV’s ambassador at the Holy See, always took care to celebrate mass with a Meursault, lest his Creator witness him wince during Holy Communion. “I would not wish my Creator to see me grimace at the moment of Communion.” The best-regarded sources of Meursault include Patrick Javillier, Dominique Lafon, François Mikulski, and Jean-Marc Roulot.